Driver admitted to being impaired when his car smashed into a minivan, killing three children and their grandfather. While her father’s and children’s killer may have received a 10-year prison term,Jennifer Neville-Lake is already serving a kind of life sentence. “None of my children saw 10 years. None,” she told reporters Tuesday after Superior Court Justice Michelle Fuerst imposed the sentence on convicted drunk driver Marco Muzzo in a Newmarket courtroom. “When you choose to drink and drive, you’re hurting other families. You’re killing someone else’s babies … like all of mine were killed on a beautiful Sunday afternoon just after 4 o’clock,” Neville-Lake said outside the courthouse after the sentencing. With credit for time served in custody since the Sept. 27 crash, Muzzo, 29, still has 9 years and 4 months left to serve. He is eligible to apply for full parole after having served one-third of his sentence (about 3 years), and can apply for day parole six months prior to that (after having served about two-and-a-half-years). Harrison, Milly and Daniel Neville-Lake (left to right) are shown in a handout photo. Muzzo was also banned from driving for 12 years. Public reaction to the penalty was predictably swift and angry, with many noting that it was too light and nowhere the near maximum punishment for impaired driving causing death, which is life in prison. But from a legal standpoint, lawyers and advocates noted that it was one of the highest sentences for this type of crime in Canadian history, and perhaps the stiffest for an individual with no prior criminal record and who pleaded guilty. “I don’t think we’re going to see another case like this in the near future where someone necessarily attracts a 10-year sentence, but I think Justice Fuerst’s sentence sends a message that the tariff has gone up for these types of offences in Ontario,” said criminal defence lawyer Daniel Brown, who was not involved in the case. 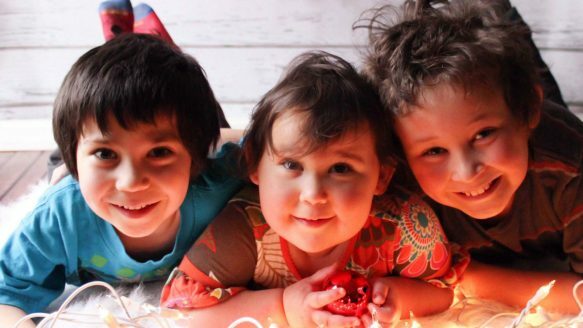 Muzzo pleaded guilty in February to the Vaughan crash that killed Daniel Neville-Lake, 9, Harrison, 5, Milagros, 2, and their 65-year-old grandfather, Gary Neville. Their grandmother, who was driving, and great-grandmother were also seriously injured in the crash. Court heard that Muzzo’s blood-alcohol content was nearly three times the legal limit when he ran a stop sign and crashed into the family’s minivan. He had picked up his vehicle at Pearson airport after returning from his bachelor party in Miami on a private plane. Dressed in a black suit and dark blue shirt, Muzzo showed no emotion as he was asked to rise in the prisoner’s box Tuesday morning to receive his sentence before a packed courtroom, including a large contingent seated with his mother, Dawn, and fiancée Taryn Hampton. He briefly glanced at them as he was led away in handcuffs, while the Neville-Lake family sobbed on the other side of the courtroom. “For as long as Mr. Muzzo has been alive, courts have warned about the consequences of impaired driving,” Fuerst said. The Crown had asked for a sentence of 10 to 12 years in prison, while the defence requested 8 years. Muzzo does not intend to appeal. His lawyer, Brian Greenspan, told reporters his client “fully accepts” the sentence. “The judge chose, as a result of a balance between the aggravating and mitigating factors in this case, to impose a sentence of 10 years and certainly that’s within the range of acceptable sentence and the range of sentence that is beyond review,” he said. It was the culmination of a high-profile case, which attracted widespread attention not only because of the young age of most of the victims, but also because of Muzzo’s wealth and status — he was granted bail on a $1-million recognizance for a period of about three weeks last month after pleading guilty. The Muzzo family, active in the construction and development industry, is worth about $1.8 billion, according to Canadian Business magazine. It was perhaps because of this extra attention that the judge received several unsolicited letters and emails from members of the public prior to sentencing — communications she described as “improper,” and led her to stress that they had no bearing on her ruling. “Muzzo better get 25 years or more with no chance of parole (or) there’s going to be a problem,” reads one email sent directly to Fuerst, which was entered as an exhibit along with the other letters. She balanced that against mitigating factors, including the fact that Muzzo has no prior criminal record, pleaded guilty fairly early in the legal process, and has expressed “deep and genuine remorse.” A psychiatrist also concluded that he is at a low risk to reoffend. While there is no exact range for impaired driving causing death, many accused persons, especially those with no prior criminal record, have typically received sentences of between five and eight years. But Fuerst noted that higher courts have been upholding stiffer penalties as the problem of impaired driving persists, and have given trial judges wide latitude in how they reach their sentence. In fact, just as Fuerst was concluding, York Regional Police issued a news release saying 13 people were arrested for alcohol- and drug-related driving offences over the long weekend. Passover, Easter & Orthodox Easter 2015 – get your dates right! Should you pay if you get an illegal download notice?